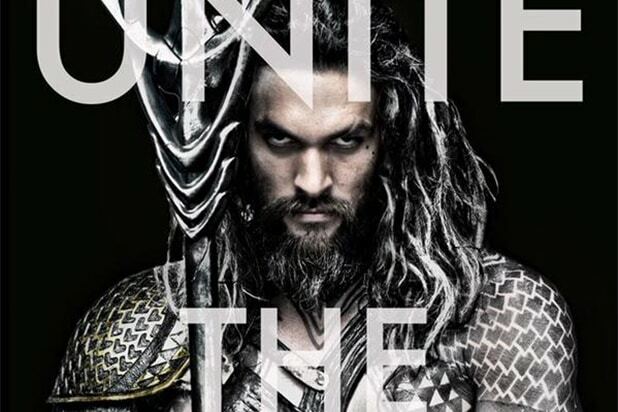 The first look at Jason Momoa as DC superhero Aquaman has been unveiled. “Batman v Superman: Dawn of Justice” director Zack Snyder took to Twitter Thursday night to post the first image of Momoa as Arthur Curry, wearing a more grounded version of his comic book orange and green armor, fierce tattoos and holding the underwater superhero’s signature weapon: a trident. “There is only one true King. #unitetheseven,” Snyder captioned the tweeted photo. The hashtag seems to be a tease that there will be more reveals for other Justice League members forthcoming. The other six members of the superhero team are, of course, Superman, Batman, Wonder Woman, Green Lantern, The Flash and Cyborg. Henry Cavill is reprising his role as Clark Kent, aka Superman in 2016’s “Batman v Superman,” while Ben Affleck will make his first appearance as Bruce Wayne/Batman. Gal Gadot’s Diana Prince, aka Wonder Woman, is also expected to make her first appearance in the film, before headlining her own actioner in 2017. Ezra Miller has been cast as the Flash and will have his own film in 2018, while Ray Fisher will play Cyborg, with his own movie coming in 2020. Also on the calendar for 2020 is a new Green Lantern movie, though it’s unlikely that Ryan Reynolds will return to the role. Momoa’s Aquaman will also make his first appearance in the Batman/Superman team-up movie before headlining his own solo film in the summer of 2018. The Aquaman solo film has no director yet. All the Justice League members will also unite for “Justice League,” a two part team-up film to be directed by Snyder, with Part One hitting in 2017 and Part Two wrapping things up in 2019. “Batman v Superman: Dawn of Justice” will be released on Mar. 26, 2016. Zack Snyder to Direct ‘Justice League’ for Warner Bros.